Why my skin looks better with 41 than 37! I can honestly say, that my skin looks better now with 41 (actually soon to be 42), than when I was 37! With a (little) shock have I discovered a couple of images of myself on my computer, when I have just started to write this blog in 2013. And I was really a bit horrified, how my skin looked! And I don´t even remember that I looked like this! So I thought I will do a little comparison on how my skin care has changed in the last 5 years, to see what has caused the improvement of my skin! Which anti-aging skin care products did really help? Oh and BTW: I have never done any Botox or other fillers (read here why). My wrinkles look so much better today than 5 years ago! That goes for my forehead, but also under my eyes! The deep frown line in the middle of my eyes has gotten much softer and the overall texture of my skin got better: the pores aren´t that deep anymore and my skin tone has gotten pretty even. So there you go: the bare face of my 41 year old skin (click to enlarge, if you want it a bit more scary!). Compared to 2013 the forehead wrinkles and wrinkles under my eyes are much smoother. The deep frown line between my eyes has gotten much better. I have barely brown patches left- I would say the tiniest bit on my lower cheeks. I do have a very red chin, which is also because I have dermatillomania (can´t stop picking at my skin and I try to focus just on my chin to not destroy my whole face- read more here about my struggle). How skin care changed my skin! Before I started blogging, I wasn´t much of a skin care geek at all! I literally used liquid hand soap or body wash to wash off my makeup. I think the St. Ives Apricot scrub and Nivea cream were my only skin care items that I used to purchase back in 2012 (and the years before). Isn´t that crazy? 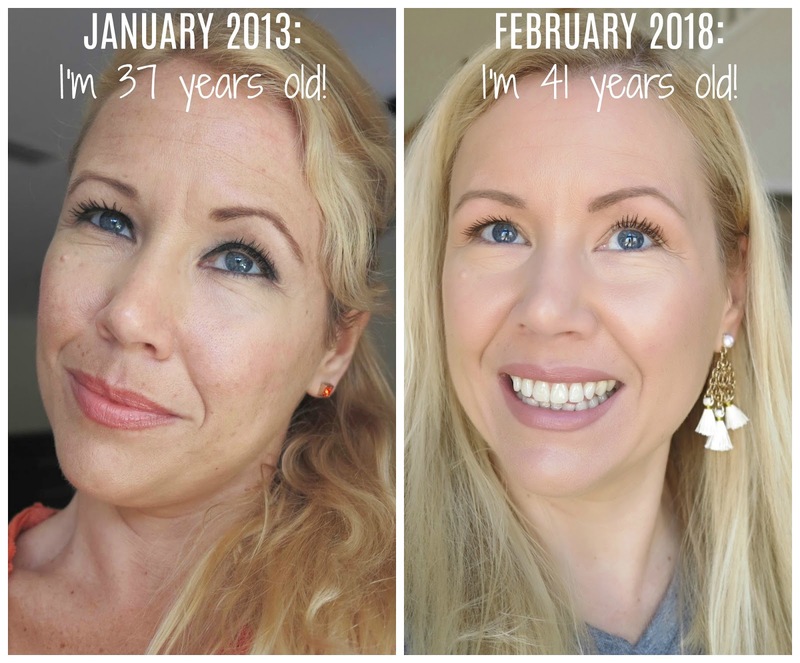 I did not start this blog being someone that knew her stuff- but I definitely grew into it and I have learned and tried so much skin care over the years! 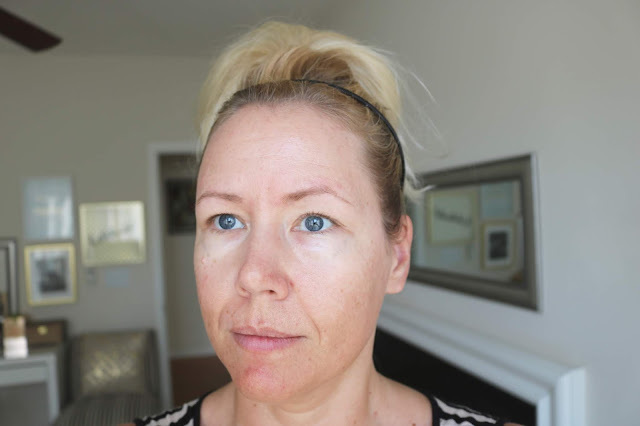 While my skin care in the last 5 years has changed a lot- many consistencies are to be found. You can´t attribute my improved skin to one single product- because how should I know which product had the biggest impact? I can only guess here- but what I can say for sure is that - no matter how old you are- a good skin care regime can actually truly make a difference! Let´s see how my skin care routine evolved since 2014- which was basically the first time I wrote about it on my blog! I will however only focus on the skin care items that I believe made truly a difference and not mention which cleanser I used for example. So keep in mind: I will always have used a cleanser and toner. While I believe that these are important steps to do, I don´t think it makes a huge difference, which cleanser or toner you use! I have never used a cleanser that was bad. Obviously if you have sensitive skin, then you will have to find one that works- but I don´t have sensitive skin. Anyway: as stated I will focus in my comparison only on the extra steps that I believe made a difference! You can check out my skin care routine in 2014 here. This was the beginning of a somewhat more "advanced" skin care routine compared to what I did before (*cough liquid hand soap)- but if I look at the items that I used, I think the only product that might have been helpful in changing my skin was the Paula´s choice Resist Triple Action Dark Spot Eraser that includes Salicylic Acid (great for exfoliation) and Hydroquinone (to get rid of dark spots). What I did not mention in this post from 2014 was, that I started to use Frownies approximately in late 2013 (here is a blog post after using Frownies for 1 year). 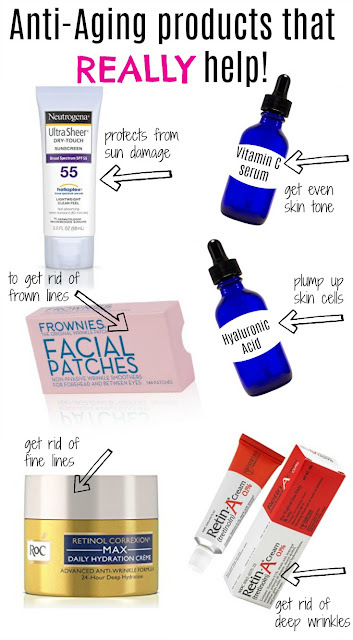 Frownies will be a consistent product that I used over the years to get rid of the deep frown line between my eyes! In my skin care routine of 2015 something important happened: I started using a Vitamin C serum (to get rid of the brown patches and achieve an even skin tone!) and finally also sunscreen every single morning to avoid further damage from the sun! Of course I did not stop using my Frownies since the results were amazing! This is also the beginning of me using a Retinol cream at night. I also included a chemical peel once a month that contains 10% Lactic Acid (read also: how to do a chemical peel at home). In my skin care routine of 2016 I kept using the Vitamin C serum and saw already a major improvement in getting rid of dark spots on my face. I also still used a sunscreen every morning. At night I switched up to a little stronger Retinol serum (the Paula´s choice Resist Retinol serum), still kept using my Frownies and still did a chemical peel about once a month with 10% Lactic Acid. In my skin care routine of 2017 I was still using every single morning a Vitamin C serum and I have added since then a Hyaluronic Acid serum to plump up my skin cells. I still used sunscreen too- but often times just the IT Cosmetics CC cream that already contains SPF 50. I also started using Retin-A in 2017 and since it would have been overkill I stopped using the Lactic Acid Peel. I was still using my Frownies. And today in 2018 I am still including a Vitamin C serum, a Hyaluronic Acid serum and sunscreen. I use Retin-A for about once a week- sometimes even only every 2 weeks, because I find the flaking annoying and also find that I don´t need currently that much exfoliation and went instead back to using a Retinol cream every night, and yes, I am still using my beloved Frownies. as well as exfoliating (in the beginning with a Retinol cream, later with a Lactic Acid peel, then with Retin-A- and now back to a Retinol cream every night and Retin-A about once a week). I can only highly recommend to start using a Vitamin C serum, sunscreen and something to exfoliate your skin! It is never too late. You will be surprised how thankful your skin will be. Results won´t happen overnight- you see this process took me years! But I do see a difference and I am loving it! 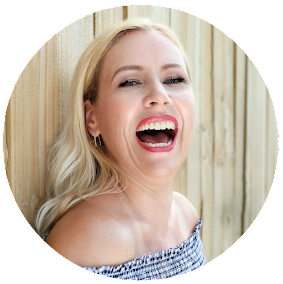 I have also tips how to get Retin-A without a prescription! Or you can read:What is the Best Vitamin C serum?